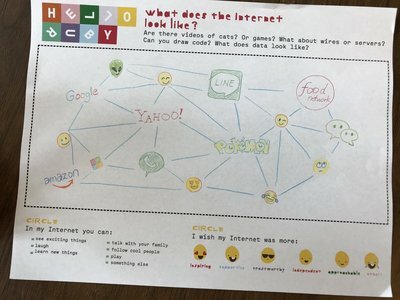 No one really knows what the Internet looks like. According to technical drawings it’s a cloud, an explosion, a star or a weird lump. You'll need to draw what you can see. 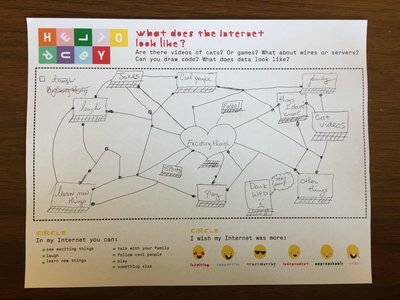 Draw what you think are the steps that take place inside the Internet to move all the data. In essence, design the Internet. 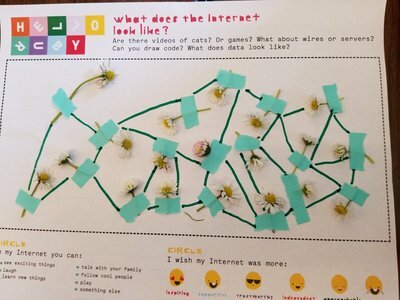 Draw a picture of your Internet. Can you place yourself in the picture? Should Internet be more inspiring, supportive, trustworthy, independent, approachable or something totally else? Then send us a picture of your drawing at hello@helloruby.com (and we'll send you a small thank you!). The best pictures will be showcased here on the site. 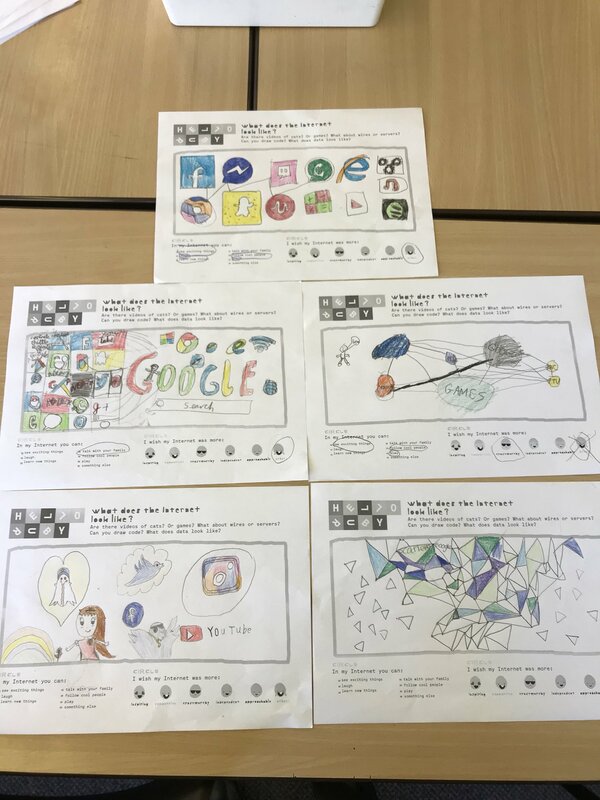 Dan Baldwin's year 5 class in Leeds imagines Internet! Aura thinks Internet is a huge (and fast!) horse made of wires!